I had a very low-key fourth of July. My husband and I pretty much hung out on the couch all day long since it was so incredibly hot out. We entertained the idea of visiting family or friends, but my husband was tired to due some intense work days, so we decided to take it easy and watch an Arrested Development marathon. We are just getting into that show and are both obsessed– in fact, it is one of the few shows we have mutual interest in. We weren’t bums for the whole night though– we finally got our acts together in the early evening to join some friends for dinner. That ended up being more of a production than we anticipated– who knew most restaurants around here were closed yesterday? We assumed it would be easy to get in somewhere, but we had to call a dozen or so places before we found somewhere to go. 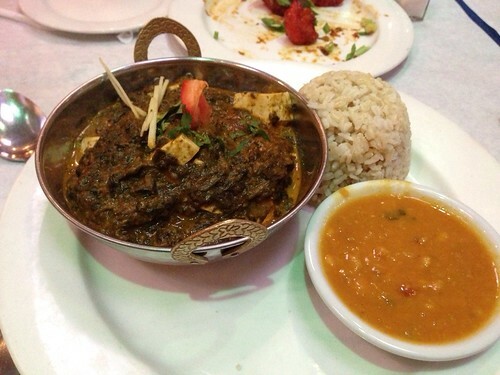 Thankfully, it was somewhere we love– Rasoi Indian restaurant in Providence. 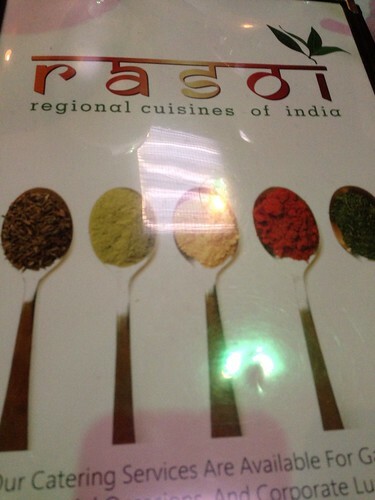 I’ve raved over Rasoi many times before, so I’ll just cut to my meal. To start, we picked on some pappadum with various chutneys. 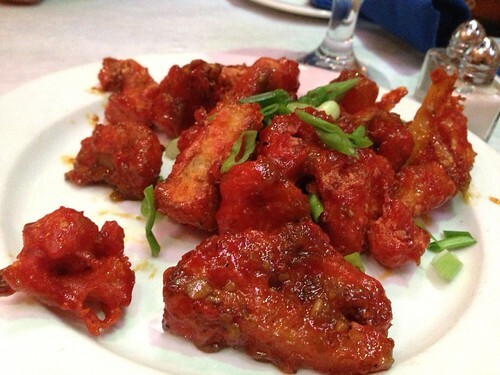 We requested two orders of the below gobhi Manchurian, which was best described by one of my friends as General Tsao’s cauliflower! 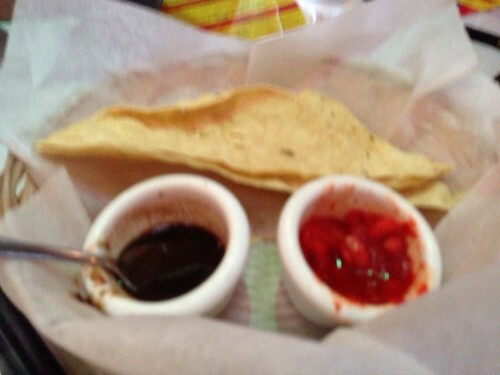 This is probably one of the best appetizers in any restaurant in Providence– as a vegetarian, I imagine eating these similar to what it must be like to eat buffalo chicken for some reason! I ordered their vegan saag (spinach) tofu with brown rice and their lentil of the day. For being vegan, the spinach is so incredibly creamy. This is definitely a great way to get in some greens! Our friends moved on to watch Providence’s fireworks show, but we decided to duck out since my husband had to work early this morning. I should mention, on the way home, we stopped by our local ice cream shop for a cone of simple vanilla soft serve which I failed to snap a pic of because it was melting at a ridiculous rate. I couldn’t end the fourth of July without satisfying my soft serve craving! We were in bed by 10, which is exactly what I wanted! How did you celebrate your fourth of July? One Response to "Red, White and Rasoi"
I was a bum the whole day yesterday also, except for in the morning when I managed to get a run in. We did leave around 7:30pm for our local fireworks, which was fun.